FTC-Telekom defeated Csíkszereda in another tight game in game four of the ERSTE Liga finals. The arena in Csíkszered was full for the second game in a row and the two teams did not disappoint. Ferencváros had the first lead of the game as a Karmeniemi shot from the neutral zone made it through Lundström for the goal. Less than two minutes later Richárd Tóth put a bouncing puck past the goal line to make it 2-0. Csíkszereda got back into the game when Becze scored a power play goal off of a pass from Sulakov. The second period started off slower than the first period. Csíkszereda tied the game up at 2-2 with a 4 on 3 goal when Becze redirected a shot from Belov. 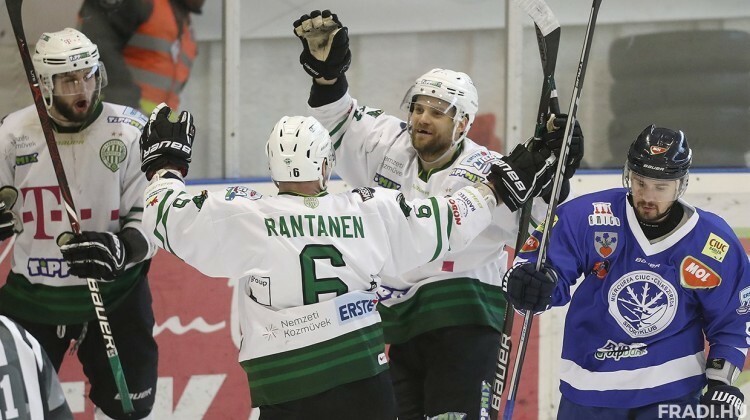 The third period brought back and forth hockey, the winning goal was scored with three minutes left to play when Rantanen put the puck past Lunström. Csíkszereda pulled their goalie for the extra attacker but they were unable to tie the game up.